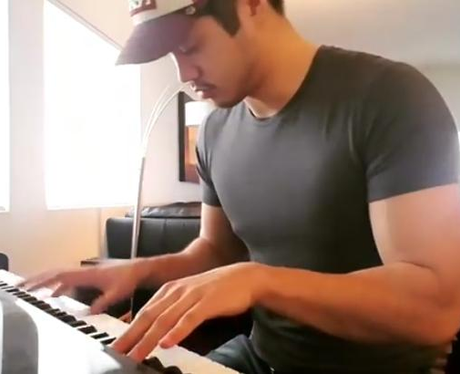 Ross Butler can play the piano and guitar. He also sings. 8. Ross Butler can play the piano and guitar. He also sings. Ross Butler is very musical. He has shared his piano, guitar, and singing skills online. Ross is also an avid gym goer and has expressed a fondness for Drake and Chance the Rapper.